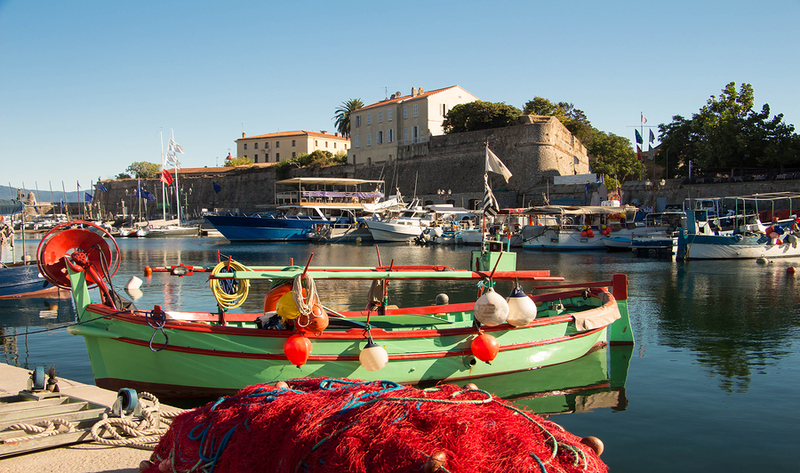 This quiet little fishing village, Ajaccio, on the west coast of Corsica, was the birthplace of one of history’s most famous persons, Napoleon Bonaparte, also referred to as “The Corsican”. 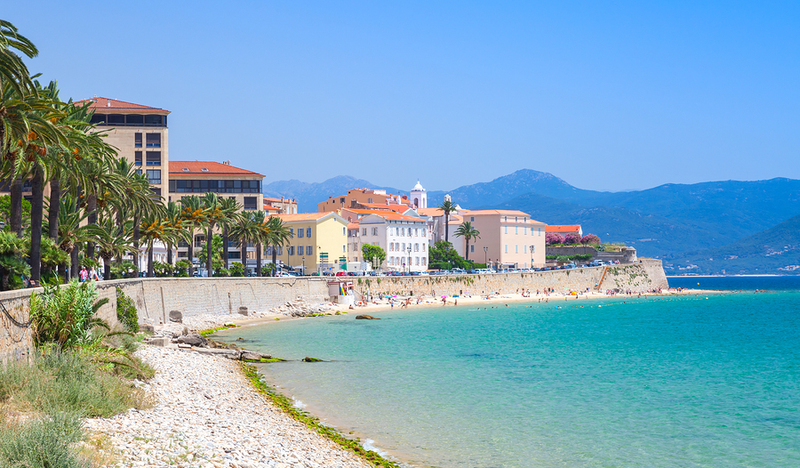 Having had such an illustrious person born in this port town, once playing in its little winding streets, was a bonus for this town, as Napoleon, once he was named Emperor, designated Ajaccio as the capital city of Corsica, an honor still in place today. 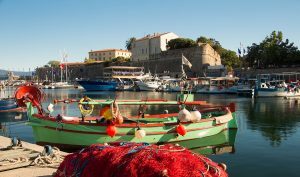 Visit this lovely port town on the Bay of Ajaccio on a private yacht charter when cruising the western coast of Corsica. The Bonaparte Family Home in town is where Napoleon was born in 1769, after which were born his 6 brothers and sisters. This home remained in the Bonaparte Family, and passed from family member to family member, including passing through the hands, at one point, of Louis-Napoleon, soon to become Emperor Napoleon, III. Emperor Napoleon and his Empress Eugenie, during their tenure of the home, had the family home refurbished, enlarged and re-opened for the 100th anniversary in 1869 of Napoleon Bonaparte’s birth. The home stayed in the Bonaparte Family until 1923, when it was donated to the State. The home was opened as a Bonaparte Family museum in 1967. 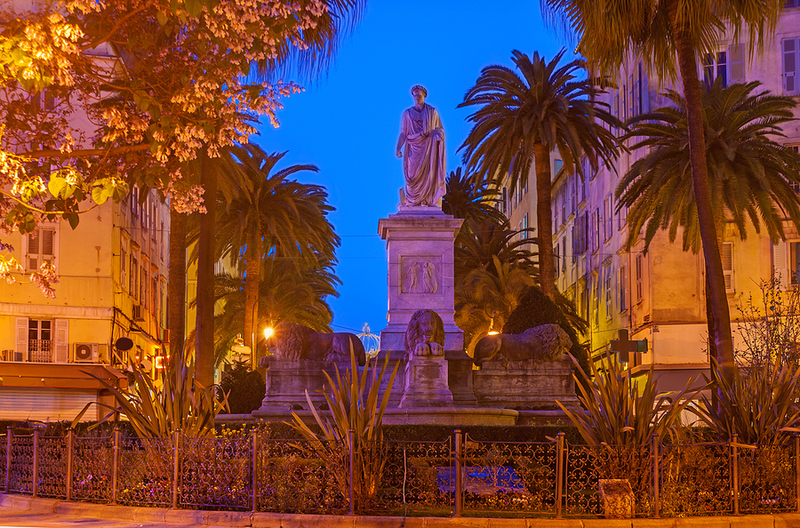 Be sure to visit Old Town, which was the Ajaccio Napoleon knew in his day, and is the location of the Bonaparte Family Museum. 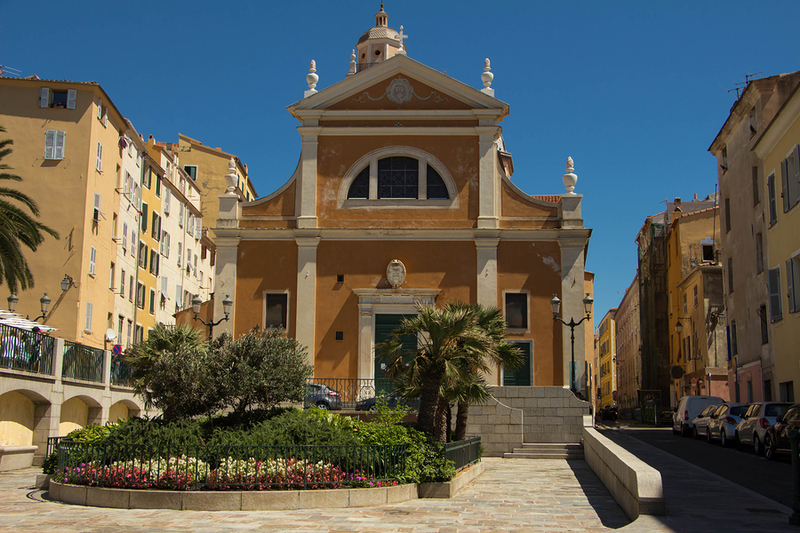 The center of Old Town Ajaccio was built around a 16th century citadel, which is still in use today, and so not open to the public. It was within the Baroque styled 16th century church, Cathedrale Notre Dame de la Assumption, that Napoleon was baptized, in a marble font still in use today. Also within this cathedral are original paintings by Delacroix and Tintoretto. Wander the tiny walking streets of Old Town, lined with pastel painted stucco front buildings. Enjoy the open air cafes, many upscale shops, and on market day, the open air market. Outside of town are a number of lovely beaches and for the hikers, several hiking trails which lead up into the mountains from where stunning vistas of town can be enjoyed. At night, Old Town comes alive with night life. 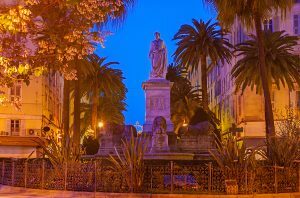 When on a yacht charter, it is best to dock if staying overnight, as there is not a good anchorage in the bay; so stay the night dockside in Ajaccio and watch as this town comes alive after sunset.